Prior to invasive treatment of venous disease and varicose vein treatment, patients are prescribed conservative options. Such treatments include lifestyle, exercise and diet changes, and the use of compression wear “stockings”. These options can help to reduce symptoms, such as pain and swelling (lymphedema), but will not treat the cause of the symptoms, which is non- or poorly-functioning veins that are pooling blood and not returning it back into the normal circulatory flow. 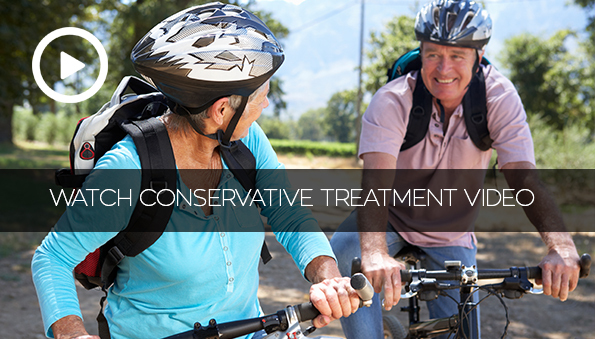 Because of this, conservative treatment is often a temporary option, but can help those who are unable to undergo minimally invasive treatments. Exercise as medicine is one of the best options to maintain vein and circulatory health.